Keep your eyes open for continental colour and castanets – a Spanish spring festival is coming to the capital! 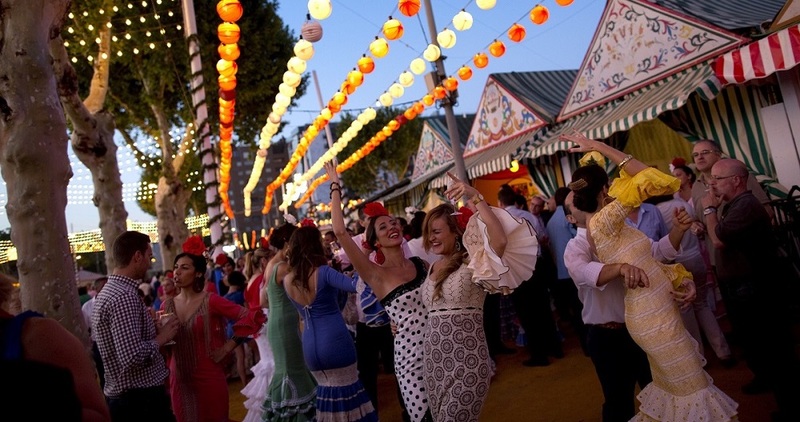 The Feria de Londres in the shadow of Tower Bridge is a FREE to attend fair mixing delicious tapas, Iberian booze and live entertainment all inspired by the traditional carnivals of Andalusia. Drink highlights include plenty of Spanish beers and wines as well as traditional cocktails like the refreshing Rebujito made using sherry, lemonade, and mint leaves. For the peckish, keep some space for a tasty spot of Tortilla de Patata and Jamon Ibérico plus barbequed seafood and meats. 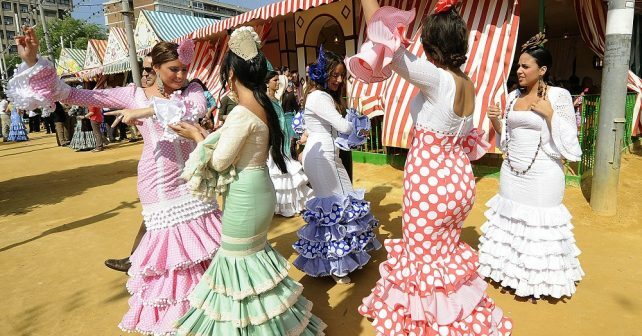 Visitors join in the fun at the Feria De Londres! There’ll be dazzlingly dresed Flamenco dancers, live singers and classical guitar players some of whom flown in specially from Spain! Fancy joining in? You can! There’ll be Rumba dance lessons, tips for Flamenco fans and castanets workshops. Plus there’s fun for the kids too with face painting, hair styling, arts and crafts. Saturday 27th May-Sunday 28th, FREE, Feria de Londres. Potters Fields Park, London SE1.